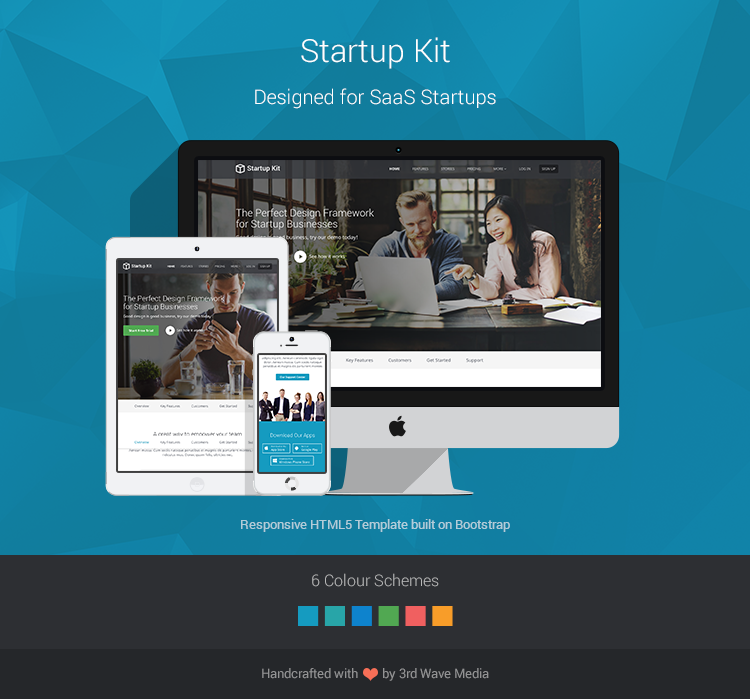 Startup Kit is a Bootstrap theme designed for SaaS startups. We’ve done our research and included all the essential elements in the template. It’s the perfect design framework for any startup businesses. The code is clean modular and comes with the source LESS files for easy styling and colour customisations. Want to kick start your SaaS business? Get this design framework and start selling your product/service to your audience today. If you would like to report theme bugs and issues, please post your comment via wrapbootstrap's comments section.